Smoky quartz, also spelled smokey quartz, is a beautifully grounding and wonderful stone of protection. Smoky quartz dispels and transmutates negative energies in the aura and from the environment. It offers psychic protection, and amplifies healing energies. Smoky quartz enhances the mood and encourages positivity. Smoky quartz aids in spiritual advancement by assisting in balancing the Chakras and removing negativity. 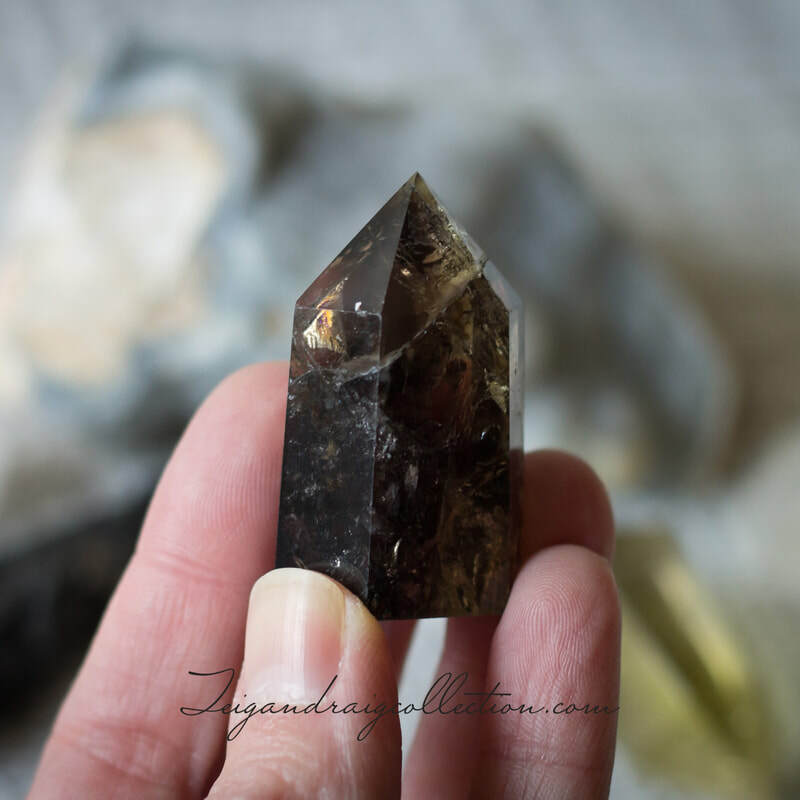 Smoky quartz is a powerful healing stone and a must have for any spiritual practitioner. The photo above and the photos below show the actual smoky quartz points available from Teigan Draig Collection. The above photo shows the crystals in natural light to show their color intensity. The photos below show the crystals with back lighting to show their level of transparency and natural composition. All the points are cut with a flat bottom to stand freely.